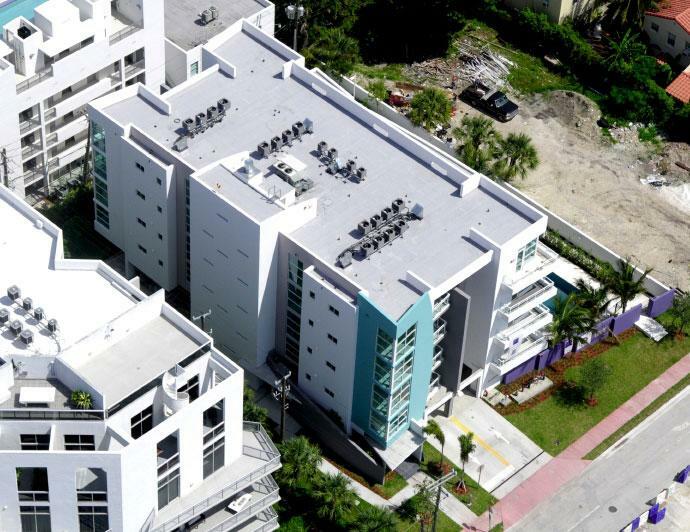 This project consists of the construction of twenty loft units on Miami Beach, Florida. The units are approximately 850 sq.ft. of a/c space, there are five units per floor on a five story building with covered parking underneath. Total building square footage is approximately 35,000 sq.ft.